Game should be installed in a non-Storage Space drive in Windows to avoid crashing. 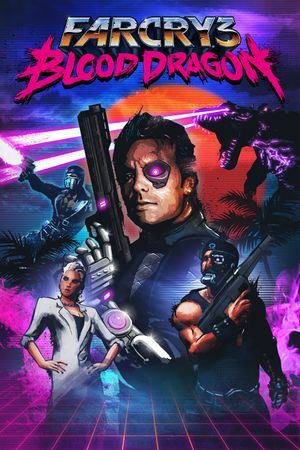 Most fixes and settings for Far Cry 3 should also work with Blood Dragon. Changeable MSAA from 0 to 8x, Post FX handles FXAA. Because the way MSAA is implemented it may leave some aliasing when used with SSAO. SGSSAA can be utilized by enhancing the in-game MSAA, under Nvidia Inspector, without the need of anti-aliasing compatbility bits in DX11. In DX9 you can get higher quality SGSSAA with 0x004010C1. Custom/unlisted resolutions can be set manually in GamerProfile.xml. Change ResolutionX= and ResolutionY= to the desired resolution. 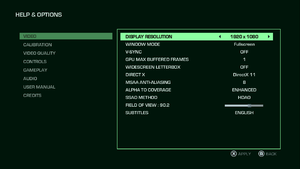 Changing graphical settings in-game will reset ResolutionX= and ResolutionY= to 800x600. This change is reversed whenever you change graphical settings in-game. Removing the scan lines introduces other bugs such as low health not affecting HUD. Open FC3.dll and FC3_d3d11.dll with a hex editor such as HxD. Search for COverlayTrack in both files and change their corresponding hex values to zeroes. Extract the content in the package to <path-to-game>\bin. Get the latest version and extract them to anywhere you'd like. Remember where. Extract it to anywhere you like. Remember where. Change the file name of the selected version from the download link above to just defaultrenderconfig.xml and place it in the folder above. Rename the default common.dat and common.fat to something else to preserve it after extracting and leave it where it is. In your GamerProfile.xml file in \My Games\Far Cry 3 Blood Dragon\ folder make sure in your <RenderProfile> section that you are NOT adding or modifying anything except <CustomQuality> or <Post> otherwise some stuff will not work. If you are interested in removing Parallax from roads, this mod includes this within it! If you wish to disable it. Follow the instructions above in that post to revert it but instead of doing it in your GamerProfile.xml you can go to the <Terrain> section in defaultrenderconfig.xml that you are replacing instead. 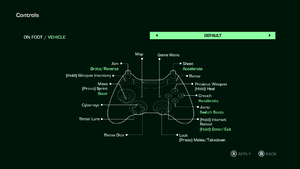 ↵ Enter and scroll wheel cannot be bound to commands. 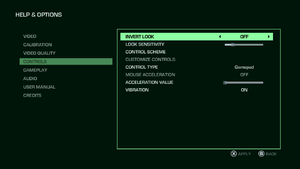 See Manually bind enter key to an action and Manually bind mousewheel to weapon switching. Positive acceleration can be switched off, see section below if you are experiencing negative mouse acceleration. Can only switch between pre-set layouts. Change the value of IronsightToggleMode to 1. 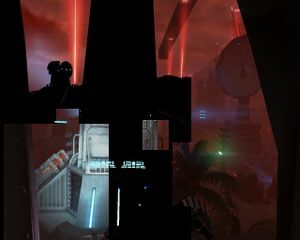 See FarCry3: Blood Dragon (DX9 only) - 3D Vision fix for better support. Many users are reporting in game cutscenes are very slow, often causing the audio to go out of sync. Set the post processing setting to "low"
Installing the latest Nvidia drivers may correct this problem for Nvidia users. In the LOAD menu, all but the first autosave are displayed as "LOCKED". The first autosave is the one created during the first run, at the very start of the game. Negative mouse acceleration prevents fast mouse movements. Download the latest version of the Far Cry 3 Mod tools. Select browse, then go into the bin folder you just extracted and select Gibbed.Dunia2.Unpack.EXE. Wait for it to extract Common.fat, then open the newly created Common_Unpack\actionmaps. Find and replace all instances of maxOutput="10" with maxOutput="100". Rename Common_Unpack.fat and Common_Unpack.dat to Common.fat and Common.dat respectively. Video artifacting occurring in game. Change your speaker settings from 5.1 to stereo. Right click the volume icon on your Windows taskbar (if it isn't visible just click on show hidden icons to make it appear). 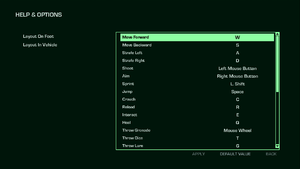 Select the speakers you are currently using, (Should be the first one listed) then select Configure. 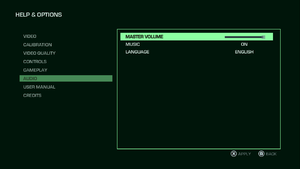 Select stereo as your audio channel, then finish the configuration setup. Right click the game icon on Steam and select properties. Uncheck the Enable Steam Community In-Game box. The game tends to crash after about 20 minutes of playing on Windows 10 devices. Click on the "Gear" icon on the top right to access the Settings menu. ↑ 1.0 1.1 File/folder structure within this directory reflects the path(s) listed for Windows and/or Steam game data (use Wine regedit to access Windows registry paths). Games with Steam Cloud support may store data in ~/.steam/steam/userdata/<user-id>/233270/ in addition to or instead of this directory. The app ID (233270) may differ in some cases. Treat backslashes as forward slashes. See the glossary page for details. 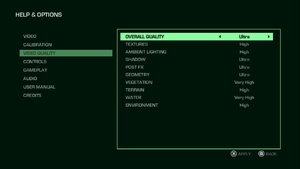 ↑ Far Cry 3 : Screenshot Comparison, most noticeable antialiasing is in the books at the corner. This page was last edited on 8 April 2019, at 06:57.